The rebuilding is in progress. 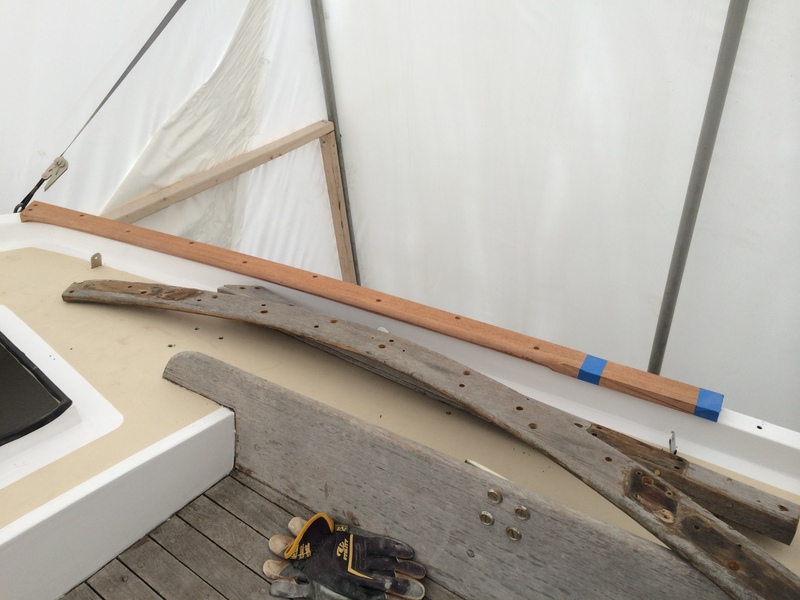 The toe rail, the piece of wood that runs the edge where the deck and hull meet is begining to take shape. Mike Whitman, the carpenter that built our new rudder is also finely crafting our toe rail. He has spent numerous hours using the old wood as a template, cut the pieces of wood, steamed them into shape and now he is painstakingly putting them into place. 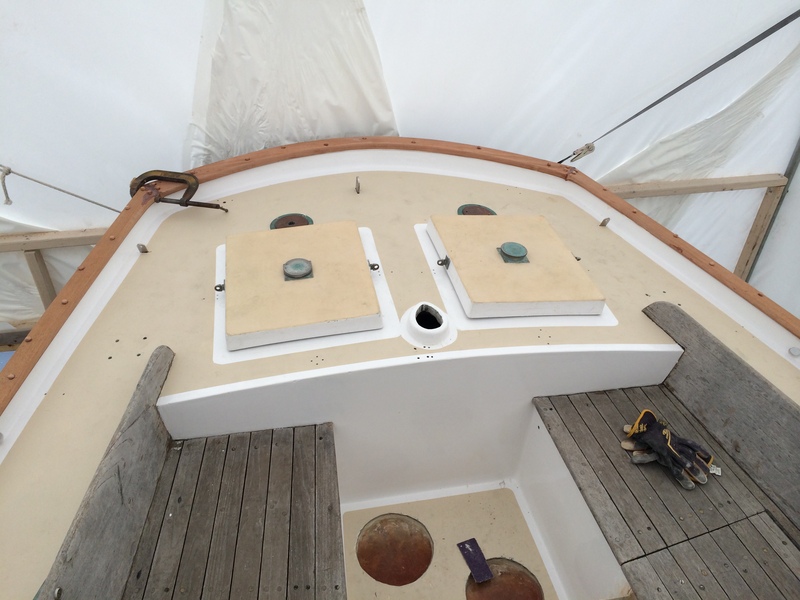 In the torrential rain today, Brian and Mike put the stern pieces into place, and if these 3 pieces are any indication of things to come, we are going to be the envy of any harbor we sail into. At one point, Brian and I talked about just fixing the broken pieces of the toe rail and hoping for the best. Thank goodness we decided to hire a craftsman to make Scout as beautiful as she deserves to be. 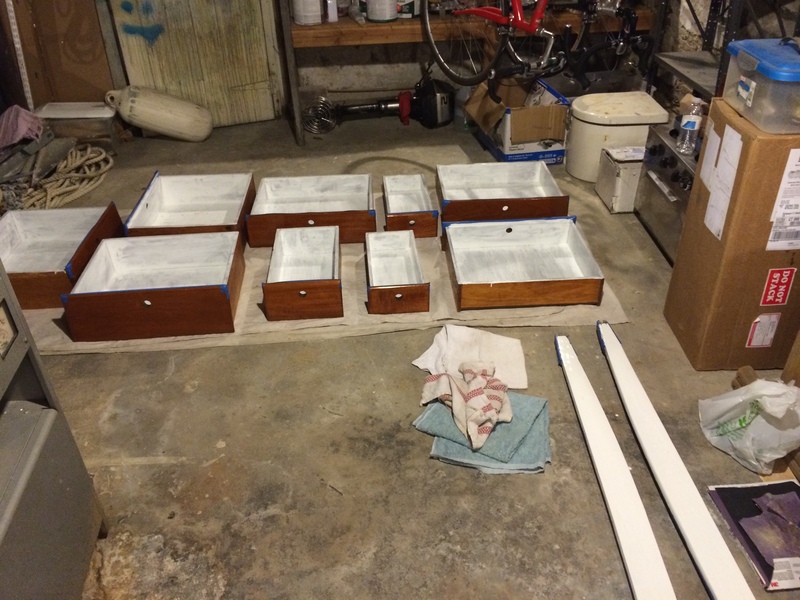 While Brian was at the boat, I spent my day off painting the interior portions of all of our drawers with white Brightside paint. 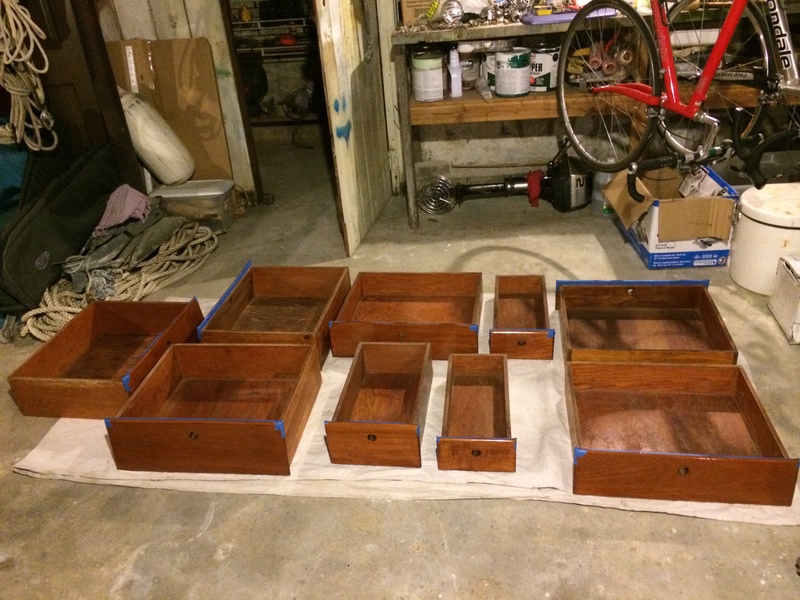 This will seal the drawers from some of the 50 years of smell they have absorbed as well as making it a little easier to see in each drawer with limited lighting. 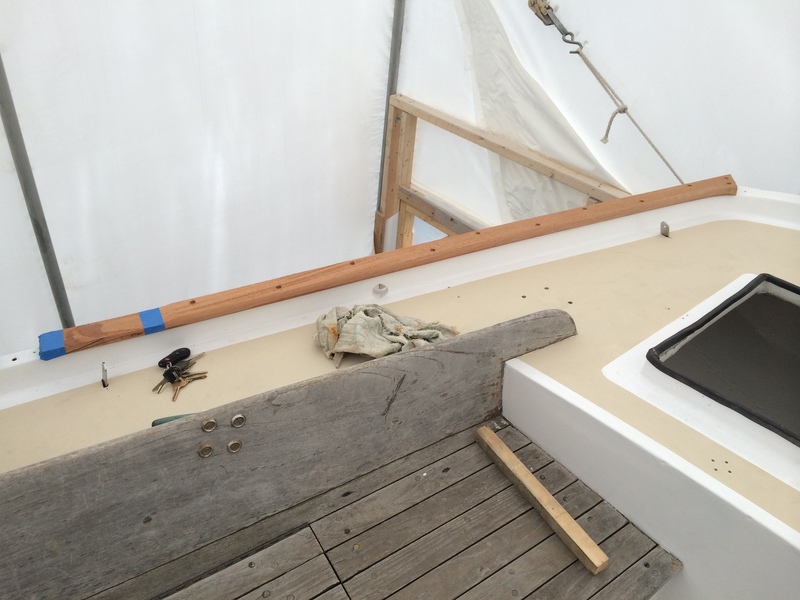 I also was lucky enough to varnish all of the handrails and washboards for the boat as well. Of course, once I started this project in the basement, I received a request from the realtor to show the house. I wrote a very nice note apologizing for the chemical smell in the house, I guess I should assume they probably won’t be buying the house! Most people make their house smell like fresh baked cookies, our house smells like a boat yard in the spring time. Another day closer to our dream!